Olympic fever has descended on the Potomac. A lovely group of individuals calling themselves DC 2024 is rallying DC government officials to support the organization’s bid to be the official U.S. nomination for the summer 2024 Olympic Games. Unfortunately, this rallying effort does not include talking with DC residents who will be negatively impacted by the proposal. Ted Leonis, Vice Chairman of DC 2024, told the Washington Post recently that “…Ward 7 and Ward 8 — communities that need our embrace and some transformation — can benefit from the Olympics.” He also stated “Washington D.C. needs the Olympics more than the Olympics need Washington D.C.” Not true. Residents have been working with local agencies for the past ten years to develop Reservation 13, the site of DC 2024’s Olympic Village. The DC government promised residents that affordable housing, supermarkets, retail, etc would be built. As late as October 29, 2014 at the public meeting to discuss the formal surplussing of the property, neighbors were told that construction might start next year. This dream will turn to dust under the DC 2024 plan. Reservation 13 is located on the eastern side of Capitol Hill, Ward 6. This once affordable neighborhood is now a seller’s market. Row houses are going for $600,000 to $800,000 within days of listing. Affordable housing is scarce and the original Reservation 13 plan was supposed to address the shortage. If the DC government supports DC 2024’s plan, affordable housing on Capitol Hill, a possibility in 2016, won’t be available until 2025. 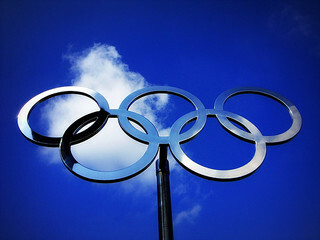 The Olympic Committee won’t let residents live in the property until after the Olympic Games. Therefore, 9 years will go by as more and more DC residents are looking for places to live. DC 2024’s decision to embrace Reservation 13 was made without any neighborhood input. They didn’t hold any public meetings asking if neighbors supported construction, cranes, and concrete. Similarly, they didn’t ask if neighbors were concerned about losing affordable housing and promised retail. Nope. They merely embraced us and assumed that their hugs and kisses could convince us to support them. DC 2024’s lackadaisical manner has not won the hearts of Reservation 13 neighbors. We don’t know you. We don’t support your statement that the Olympics needs us more than “we” need them. More importantly, we don’t want your embrace if it means delaying the implementation of the original Reservation 13 plan. Last week, ANC 6B Commissioners sent a letter to DC 2024 requesting more information about their plan. As ANC6B10 Commissioner Elect, I am eagerly awaiting DC 2024’s response. The organization shouldn’t be making plans that negatively impact Ward 6 neighbors and our elected officials – ANC Commissioners, Council Members, and Mayor shouldn’t endorse this plan without significant neighborhood input. The old Pepco plant is a better place for an Olympic Village, and it probably would not be ready until around then anyway.